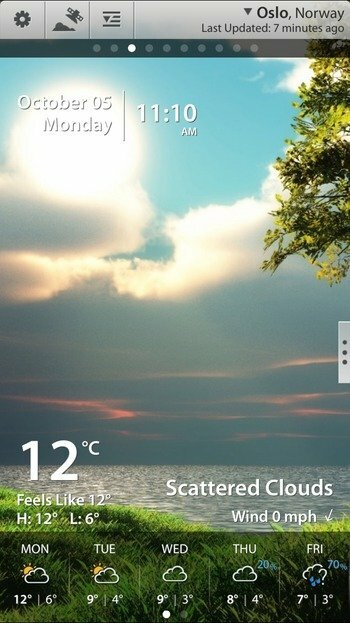 Weather Mate, the most accurate weather app around, is a stunning application that combines cutting edge weather forecasting with beautifully crafted UI design to deliver the most accurate climate information. 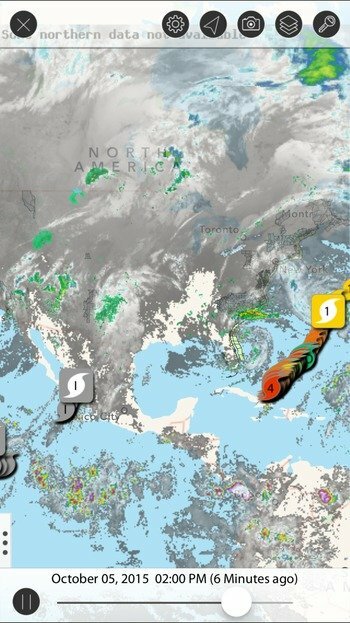 This app delivers live weather conditions, 10-day weather forecasts including hourly details, animated NOAA radar maps, weather history, travel planner, severe weather alerts & much more for any worldwide location. 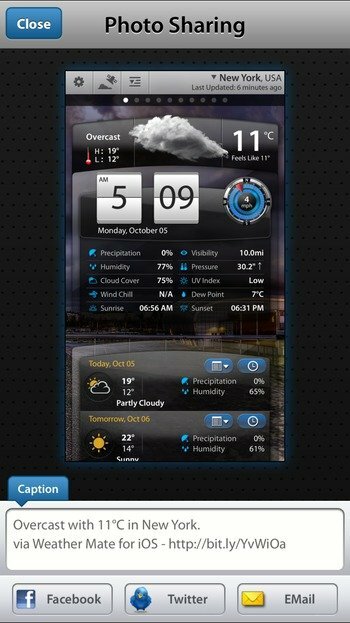 Intuitive, charming and more fun than a weather app has the right to be! 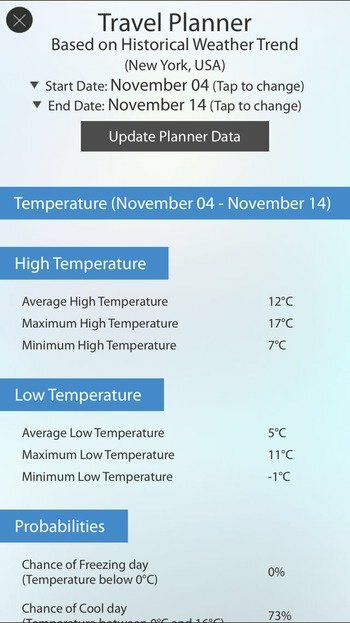 Weather Mate has been specifically designed to be your daily companion for your basic and advanced weather forecast needs. 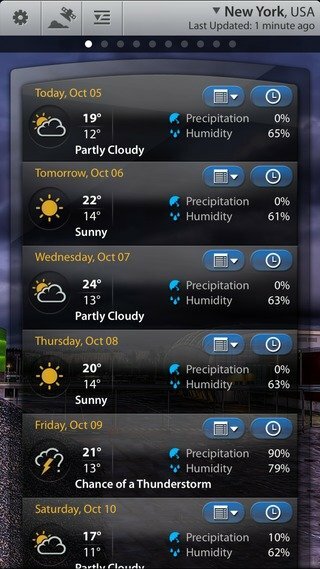 Such qualities surely make it the best free weather app for iPhone and iPad users. 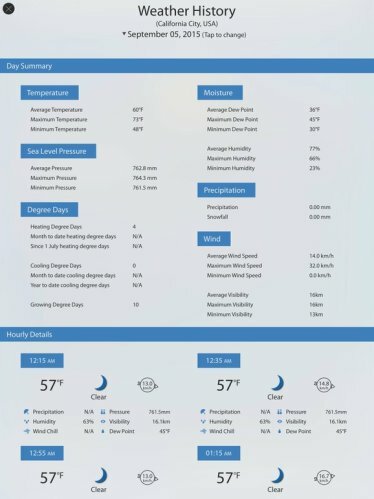 Weather Mate, best free weather app for iPhone and Ipad, utilizes the data contributed by more than 33,000 neighborhood-level personal weather stations to provide you with localized, live, in-depth and real-time updates on current weather conditions in your vicinity. 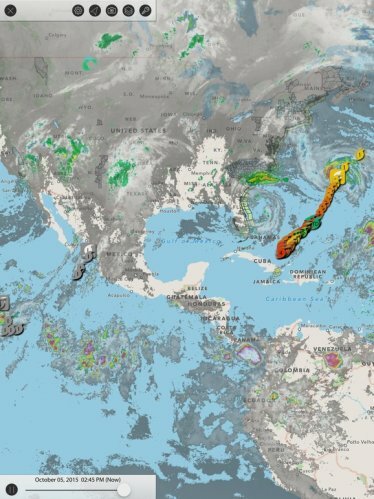 Our enhanced, multi-layered, interactive weather maps allow you one-touch access to pinpoint visual forecasts via responsive and fluid overlays for radar, satellite, weather fronts, webcams, temperature gradient and a lot more. 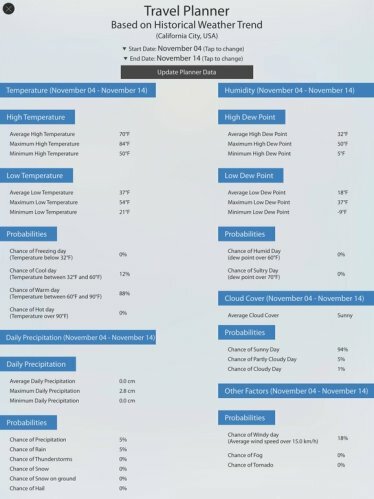 Weather data may be classified into historical, current and forecast data. Meteorologists employ the historical and current weather conditions to forecast the future weather trends for a certain location. 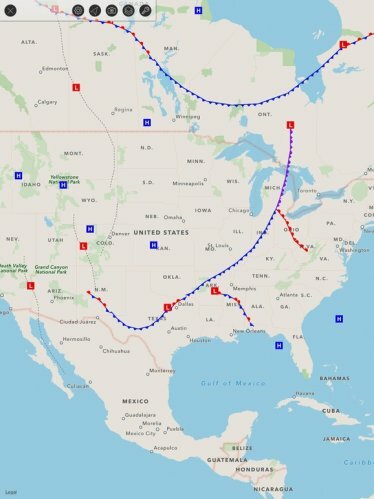 With Weather Mate, you can get access to extensive archives of weather data pertinent to locations all over the globe and use them to make your own educated guess regarding the future weather conditions of any location. So, planning your travels is no more a hassle now! Our sophisticated Travel Planner feature can help you avoid any uncalled-for weather nuisances during your excursions. Weather Mate ensures that you are not caught off-guard when the weather turns violent and harsh. It harnesses cutting edge technology to keep you posted with all the watches, advisories, warnings, alerts and statements issued by the National Weather Service (NWS). 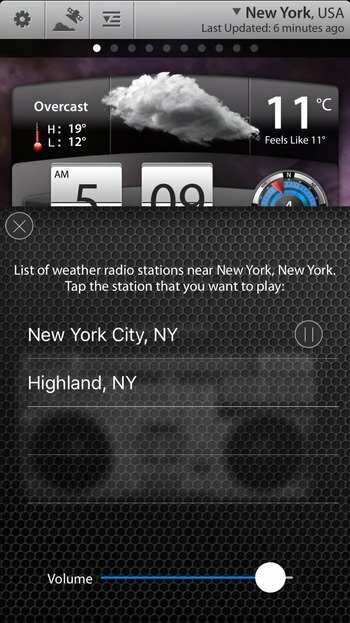 Moreover, you can stay regularly updated about the weather conditions of your locality by listening to the uninterrupted weather broadcasts by NWS radio. 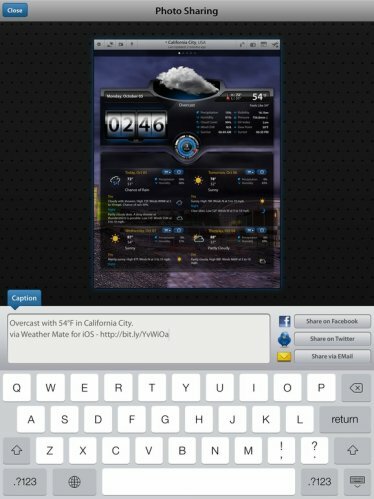 And if you want to share weather news with your friends and loved ones, Weather Mate has got that sorted out for you as well through its innovative Screen Sharing options. 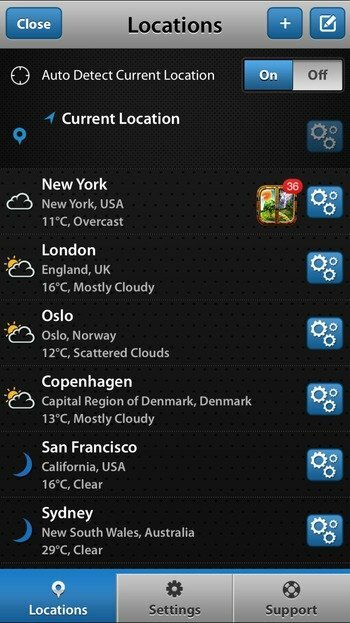 Tired of manually configuring your location on your old weather apps? 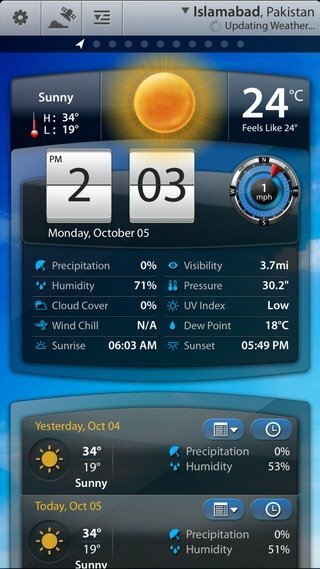 Weather Mate, best free weather app for Iphone and iPad, automatically detects your current location and furnishes your weather information wherever you go. You can also get to know about weather conditions of any place in the world by adding multitudes of places. 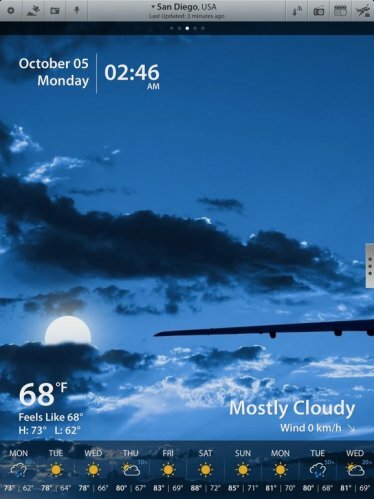 You can also customize the app’s background themes and choose out of a variety of display modes. 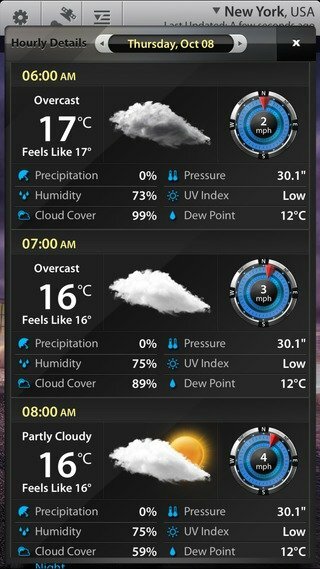 Weather Mate is stuffed with loads and loads of weather related information for the weather watchers. 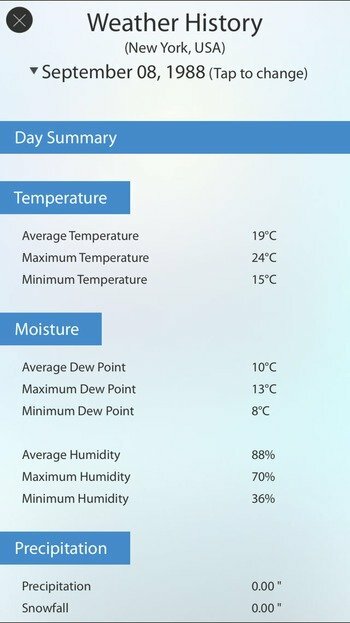 So, you can get to know humidity levels, dew point, UV index, atmospheric pressure, temperature, sea surface temperature etc. And we also have your current temperature pinned on the app’s icon on your homescreen so that you can have a quick glance at it without having to log into the app. I have collected over 4k apps since I switched from BB to iOS a few years back. 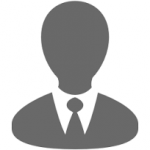 Mainly grab something that goes free to gave a look at its features; 99% of them get removed. 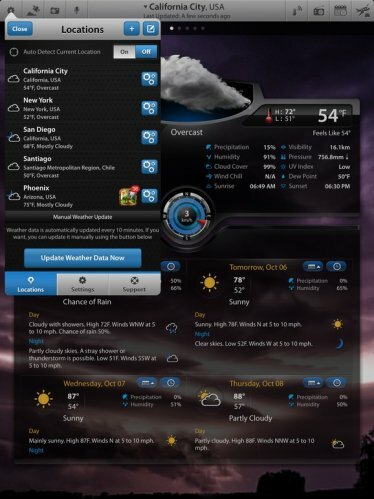 However, I have about a dozen weather apps I use every day, some because of the info and others because of the UI. 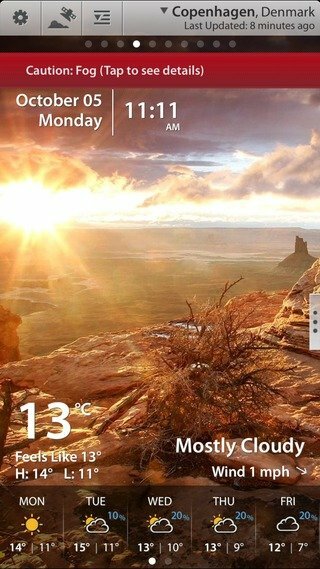 Weather Mate pro has beaten the record for all my apps, not just weather. Never have I gone from free version to paid in a matter of minutes and then…. 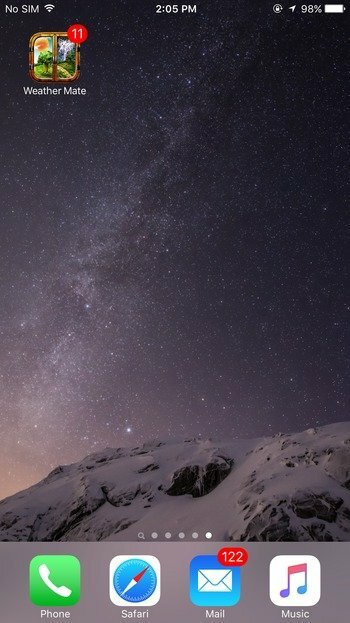 Moved it to my home screen! This app is visually stunning and has everything I look for in a well organized and easy to read format. Only thing I now look elsewhere for is cloud ceiling. This is the only weather app you need. 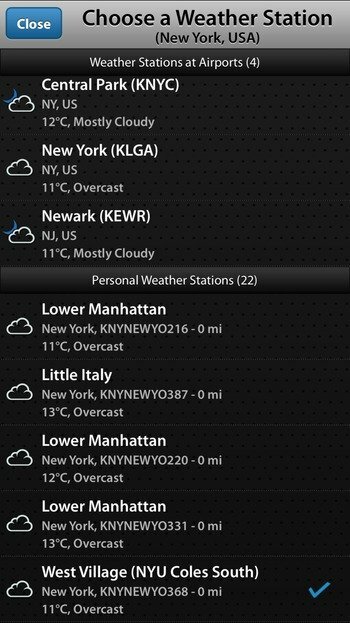 Go to wunderground.com and find the name of the weather station nearest you and plug it in for ultra-accurate results. 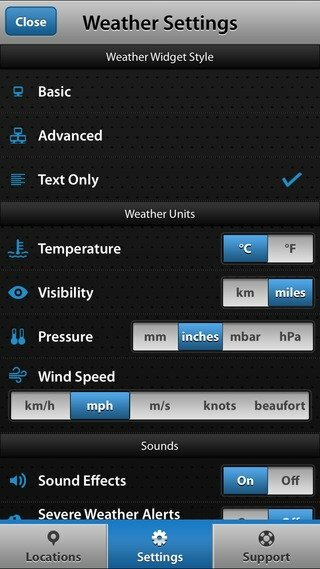 Weather Mate has the fullest, most condensed, most easy to read and access summary of conditions of all weather apps. BTDT. 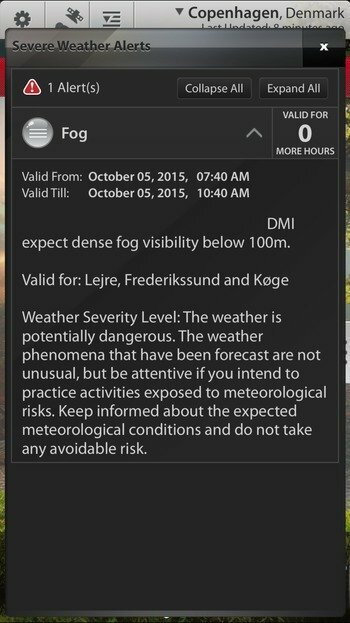 I forget how I found out about Weather Mate: the best weather apps are hidden gems, not widely publicized. I have the two other best (unnamed) weather apps, waiting as “purchased, not on this iPad”, if Weather Mate ever goes south. But for now, Weather Mate it is. I tested at least 5 different weather apps before deciding on this. It’s worth every cent. Other apps I’ve tried advertised cool features but turned out to be “clunky” in their implementation. This has the essentials up front but let’s you go in depth when necessary. The graphics complement the practical design and are always related to the actual weather condition. 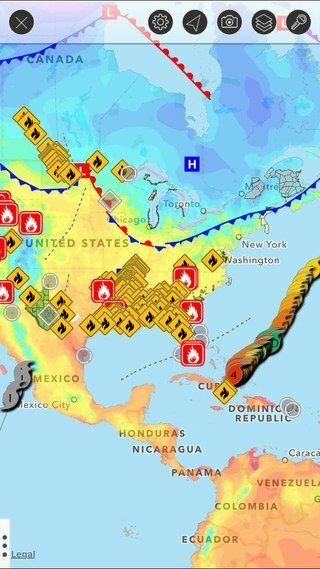 Weather Mate is your ultimate resource for staying abreast with the ever changing weather patterns. 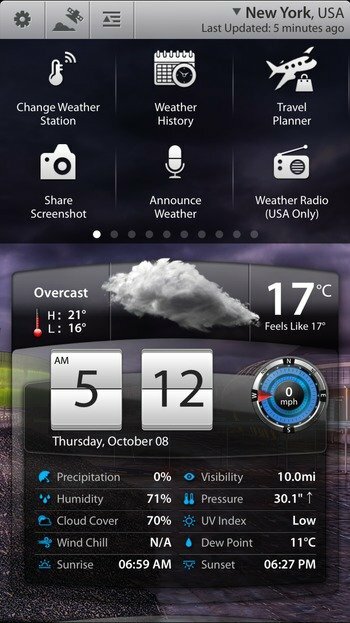 A must-have app for the weather geeks. Give it a try and you would discover that for yourself!